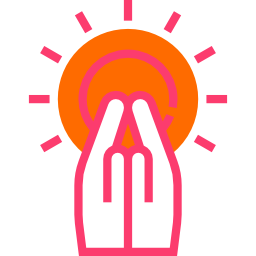 Today's Sunday Ritual is simply is about remembering, reminding and reflecting on this. So relax, chill out. You got this. Sometimes we need to take a step back from all our growing, doing, striving and accept the moment, accept ourselves and accept the situation. Even when it doesn’t feel like it, you are exactly where you need to be, doing exactly what you need to do right now. You are perfect as you are. You are whole as you are. You can be perfectly imperfect. You can be perfection that still grows. Everything in our life is temporary, and so is this fleeting moment. As a strong advocate of personal growth, of ABG (always be growing), which is the foundation of what ‘her collectives’ is built on, it is important to still take a second to stop and just be. To fully accept that we already are what we are striving for. That everything we need we already have within us. I wanted to focus on feeling ‘enough’ after the last ritual ‘risk-taking,’ which is all about stepping out of your comfort zone and askings ‘what's the worst that could happen?’ Sometimes, the answers you may have found are around ‘enough’ (I”m not X enough, I don’t have enough X). As women especially, we are always striving to accomplish so much, take on so much, support so many people. It's important to remember and remind yourself that you are enough. Right now. Right here. Simply remember, remind and reflect: I am enough. Write it down to see when you wake up in the am, or add to your phone reminder. Reflect on any discomfort or stirred up emotions it causes, and remind yourself again. Say it in a loud voice 3 times, then in a normal voice x 3, then in a whisper x 3, then lip-sync it x3 ; then say it in your mind x3. 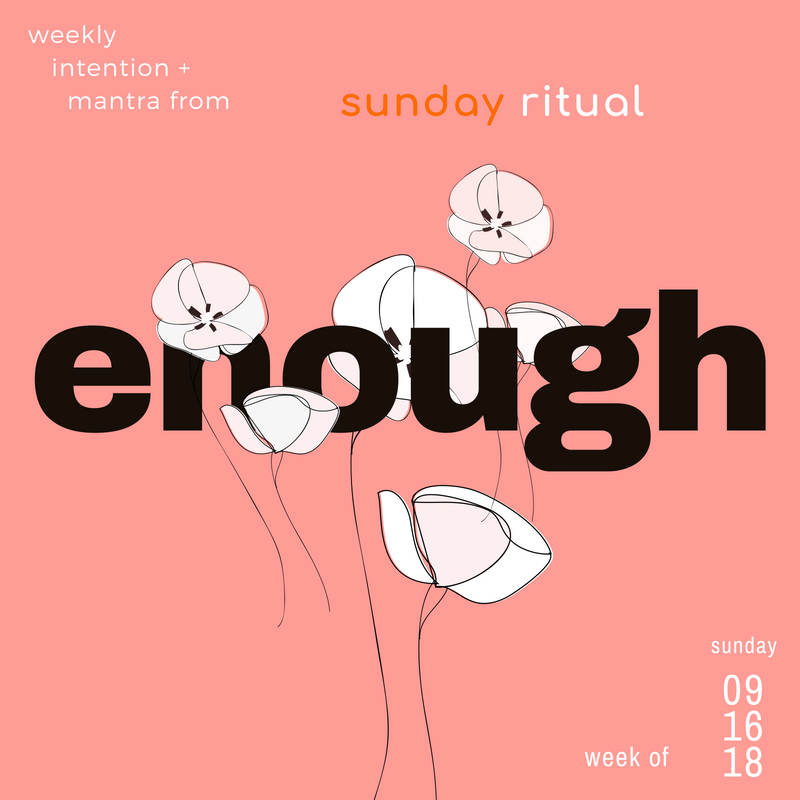 Join us Sunday, Sept 9th for our collective sunday ritual on intention setting. I will be leading meditation and workshop on setting an intention for the fall, and you will make a bracelet so you can be reminded of your intention while you wear it. Hope to see you there!